Our Long Mechanical division has proven experience in handling small- and large-scale commercial HVAC projects. Our highly trained technicians and tradesmen work throughout the Midwest installing, maintaining and repairing a wide range of heating & cooling systems in a variety of building environments. Throughout each job, high quality workmanship and following safety protocol are top priorities. When it comes to commercial heat installations and commercial refrigeration systems, you can rest easy knowing that our professional technicians are well equipped with the knowledge, experience and latest technology to keep your facility systems running smoothly so you can focus on your business. Long Mechanical has built a reputation on providing cost-effective and reliable solutions for commercial HVAC customers in a wide variety of industries and settings. We service, install and repair everything from rooftop heating and cooling units to walk-in coolers. And we’re proud to say that our customers are quick to refer us for our superior service. Experienced in a variety of commercial heating and cooling systems, from rooftop units to mini splits, boilers to chillers, count on the HVAC professionals at Long Mechanical. We carry energy-efficient commercial-grade heating, air conditioning, ventilation and refrigeration equipment from top manufacturers. Regular systems inspections, plus planned and preventative maintenance performed by Long Mechanical's certified technicians will keep your commercial HVAC systems in top working order to ensure continued operation. Regular maintenance can save you money in the long run by adding years of life to your equipment, reducing down-time and avoiding emergency repair costs. Just a few examples of our work to showcase our commercial HVAC capabilities. 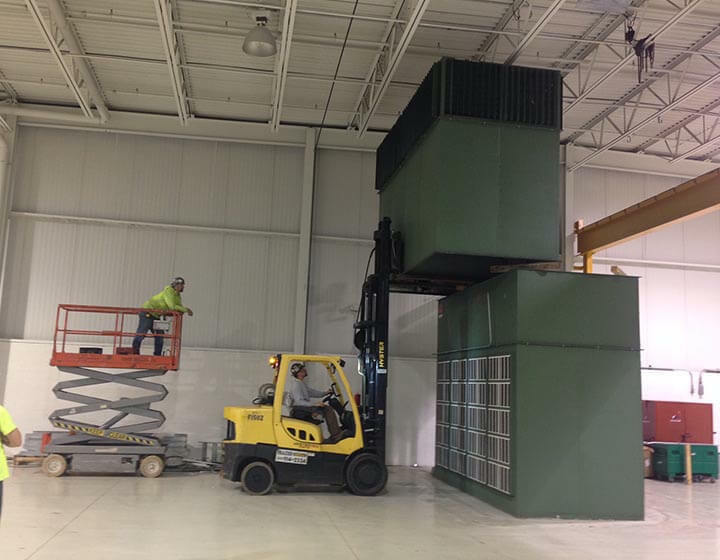 Relocation of HVAC unit during manufacturing plant renovation. 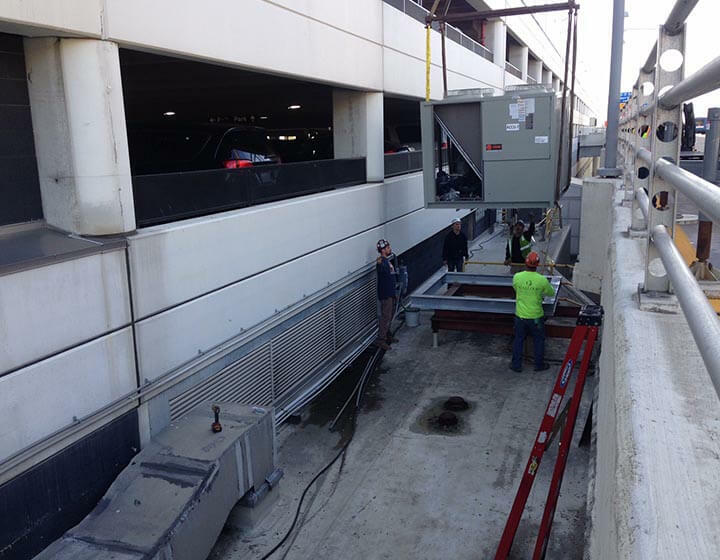 HVAC installation and renovation at Detroit Metro Airport. 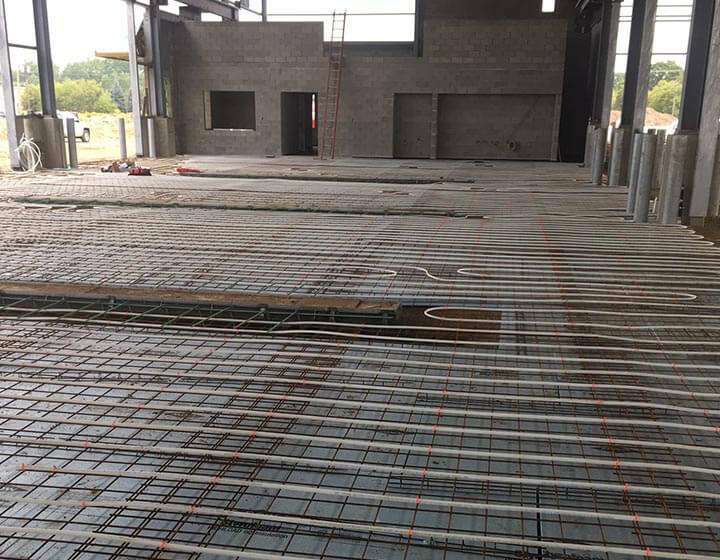 Radiant floor heating installation in Washtenaw County. 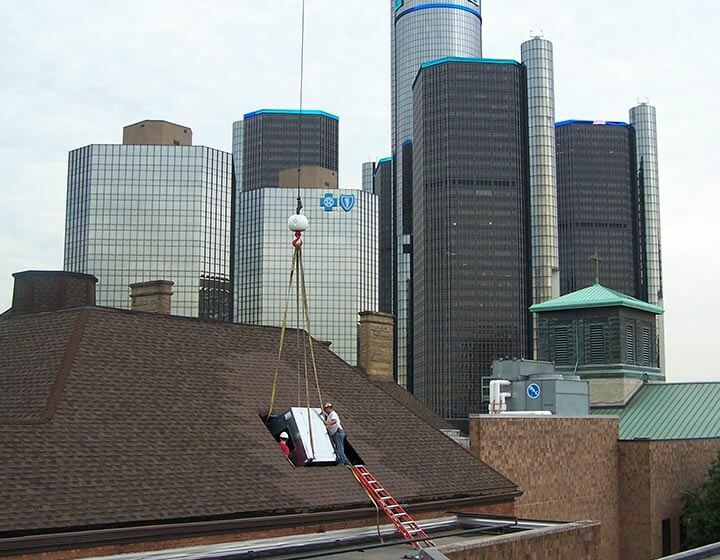 HVAC installation at University of Detroit required roof opening. 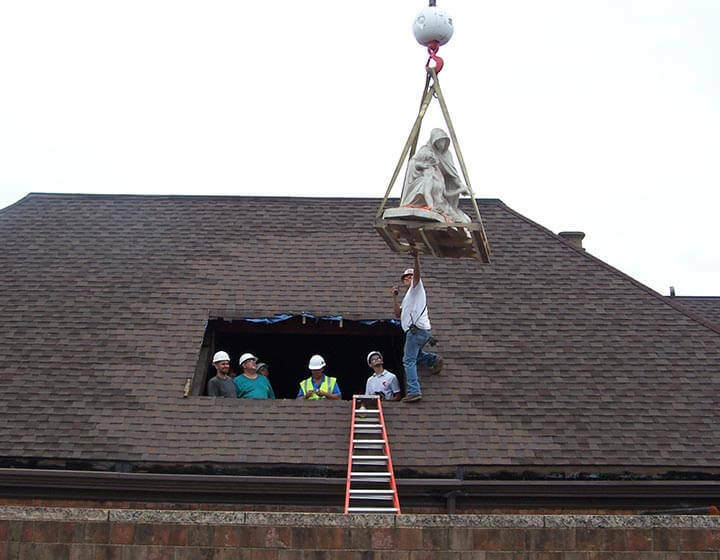 During installation we discovered a sculpture lost in the attic for 60 years! 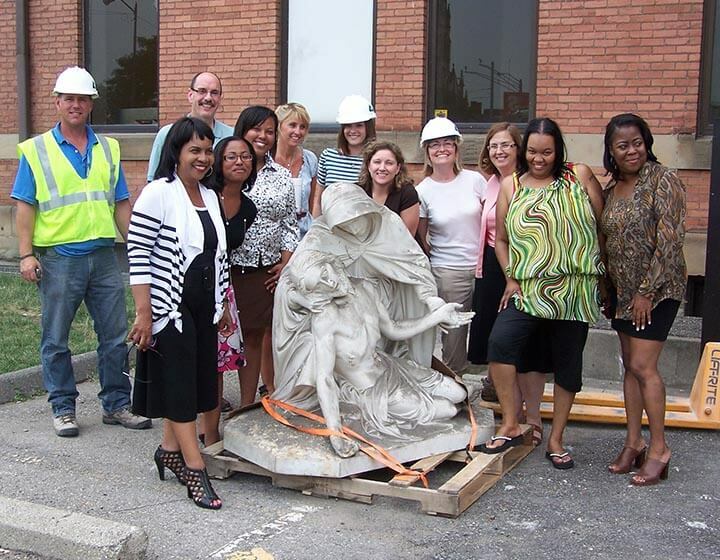 U of D staff were grateful to our crews for safely removing the sculpture.